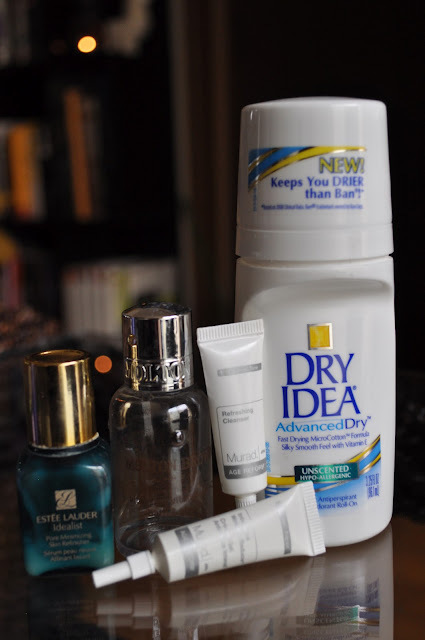 So Lonely in Gorgeous: Running on Empty: May Empties! 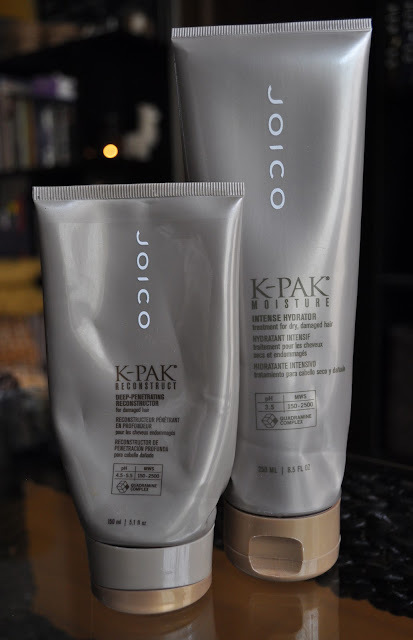 Joico K-PAK Moisture Intense Hydrator. My hair loved this product! I used the Moisture Intense Hydrator once a week after a clarifying shampoo; it left my hair feeling soft, moisturized and tangle free...the complete opposite of the Deep-Penetrating Reconstructor. I will be Repurchasing this product!! L'Oreal Elseve Damage Care Pro. I purchased this leave-in condition after I ran out of my Kerastase Nutritive Nectar Thermique. I use this product as an extra treatment after deep conditioning my hair. This product leaves my hair feeling very soft and moisturized. I would repurchase. Redken Smooth Down Conditioner. Redken Smooth Down is one of my staple shampoo and conditioners. Smooth down really leaves my hair looking and feeling soft, shiny and keeps the frizzies at bay. 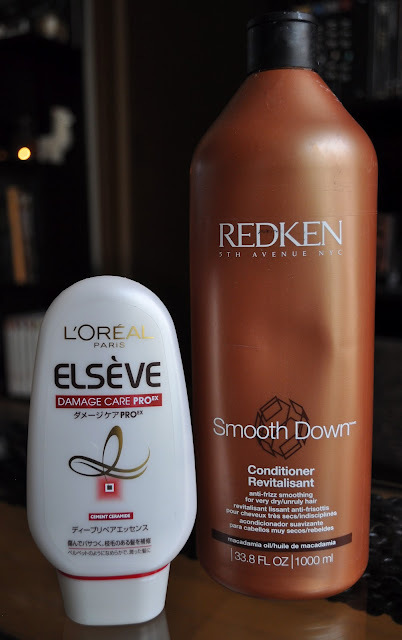 I go through conditioners faster than shampoos, so I always buy a bottle of shampoo and two bottles of conditioner. Will never be without! Alterna Bamboo Shine Luminous Shine Shampoo. I've tried and like some of other lines from Alterna, so I was looking forward to trying the Bamboo line. I wasn't impressed, actually, I was disappointed. Before conditioning, the Bamboo shampoo left my hair feeling dry, brittle and tangled...not good at all! Moroccan Oil Moisture Repair Shampoo and Conditioner. My second staple of Shampoo and Conditioners. 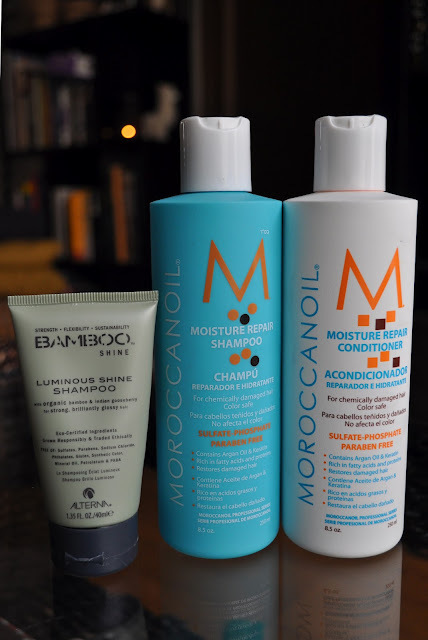 My hair just drinks up all the benefits that the Moroccan Oil Moisture Repair Shampoo and Conditioner offers. This brand is worth every yen, and I highly recommend! 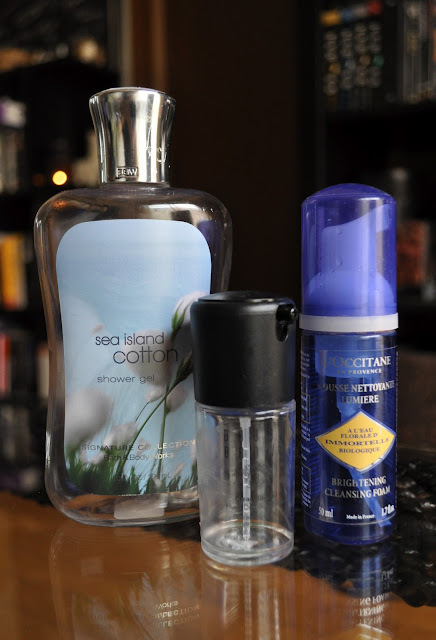 Bath & Body Works Shower Gel in Sea Island Cotton. Great scent for Spring, very refreshing! I have and will continue to repurchase. Bobbi Brown Cleansing oil. I believe this was a free gift with a Bobbi Brown purchase from Saks. I'm glad this was a free gift with purchase, because I would be kicking my own a@# if I bought this cleanser. This cleanser did absolutely nothing in removing my eye makeup (which it claims to do). I would have been better off just using vegetable oil. L'Occitane Brightening Cleansing Foam (travel size bottle, since I cracked the standard bottle after dropping it...butter fingers :P). This cleanser leaves my skin feeling soft and clean, and looking radiant. This is my favorite cleanser to using during Spring and Summer, since it's light weight, yet still moisturizing. Also, I love this cleansers refreshing scent. 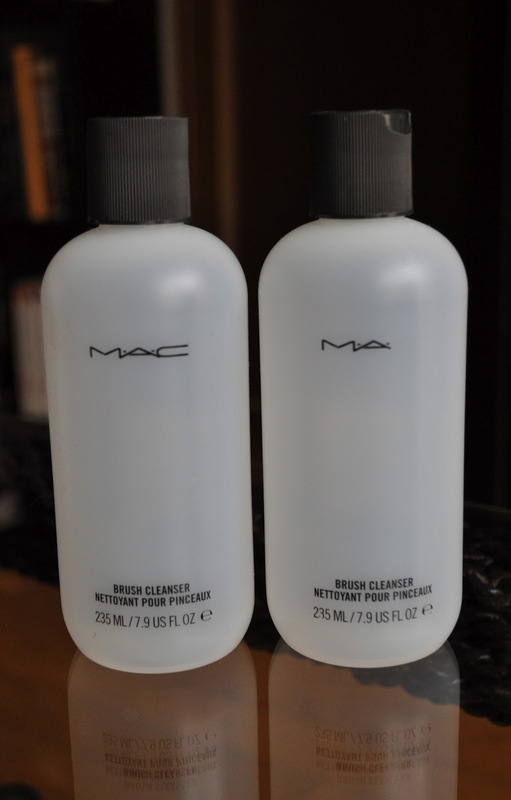 I've been using this cleanser for several years and I will always repurchase! Estee Lauder Idealist Pore Minimizing Skin Refinisher (sample). I don't have an issue with enlarged pores, but this product did a lovely job at smoothing out the appearance of my skin on those dryer days. I love the way this product felt on my skin, like velvet! Molton Brown Vitalising Vitamin AB+C Bath & Shower (sample) I believe I got this sample at barneys, I can't remember. This shower gel was ok. At first, I really liked it, but after a while, I found the scent (a orange/citrus mixing with a holistic vitamin store. Basically, it smells like a vitamin shop that uses pine-sol to clean it's floors) to be a bit overpowering. Won't purchase. Murad Refreshing Cleanser & Intensive Wrinkle Reducer (sample). 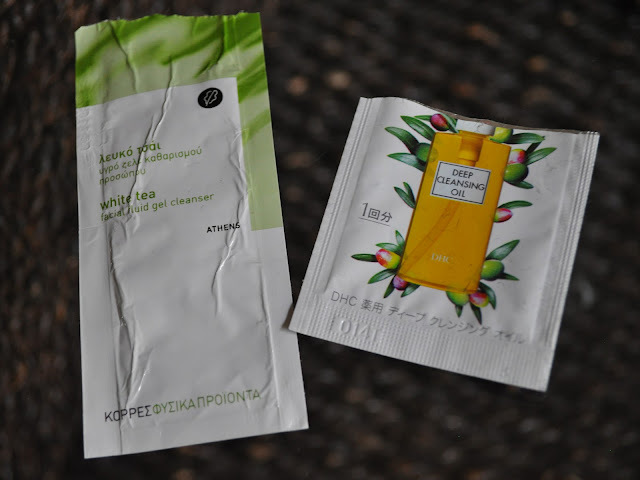 My skin did not like these products one bit! After using the cleanser my skin felt tight. The Intensive Wrinkle Reducer caused my skin to breakout in red blotches. I found it odd, that my skin had such an adverse reaction to these products, since my skin is pretty tough and I never have issues with sensitivity. Will not purchase! Dry Idea AdvancedDry Unscented Deodorant. I purchased the AdvancedDry thinking, "why not ensure more antiperspirant coverage". I've been using Dry Idea as long as I can remember and I will continue to do so. I don't have any issues with underarm sweat/odor, but I am paranoid about it. Also, I don't like scented deodorants at all! I find scented deodorants nauseating (especially during Summer). Covergirl Lashblastfusion Mascara in Black Brown, Black and Very Black. 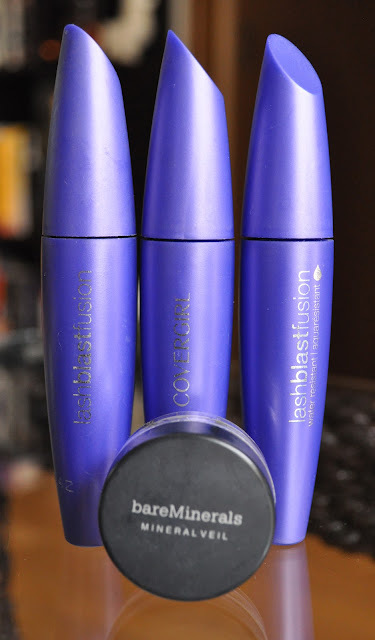 I like using this mascara for natural subtle understated day looks. BareMinerals Mineral Veil (sample). I have no idea why I have so many of these BareMinerals samples, but this is the first one I've used up. It's a good product, but I wouldn't purchase a full size of this. Korres White Tea Facial Fluid Gel Cleanser. I was able to get two uses out of this sample packet. It was good, but don't think I would purchase a full size bottle. DHC Deep Cleansing Oil. I really liked this oil cleanser. If I'm ever in a pinch and without my trusty Shu Uemura Skin Purifier High Performance Balancing Cleansing Oil Enriched, I would definitely buy this oil cleanser. The DHC Deep Cleansing Oil is a more cost friendly version to the Shu Uemura Oil Cleansers. These products were not used up within a month, they were finally emptied at the end of the month. Also, I usually go through hair products rather quickly, I have a whole lotta hair and it's thick as hell too. Can't wait to see/read your empties post Jacq!